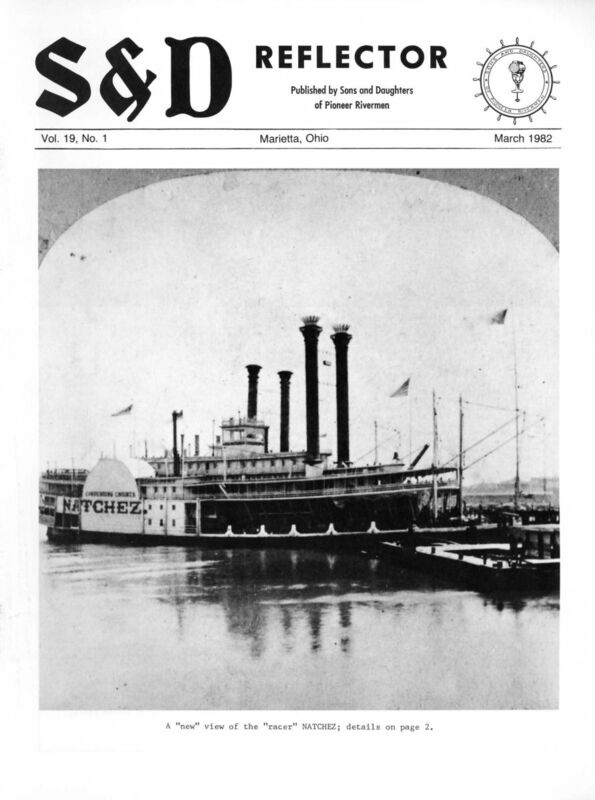 The S&D Reflector is the quarterly journal of the Sons & Daughters of Pioneer Rivermen. The publication was originated by Captain Frederick Way Jr. and was first published in March 1964. Devoted to historical and contemporary events, this profusely illustrated journal is published in March, June, September, and December. 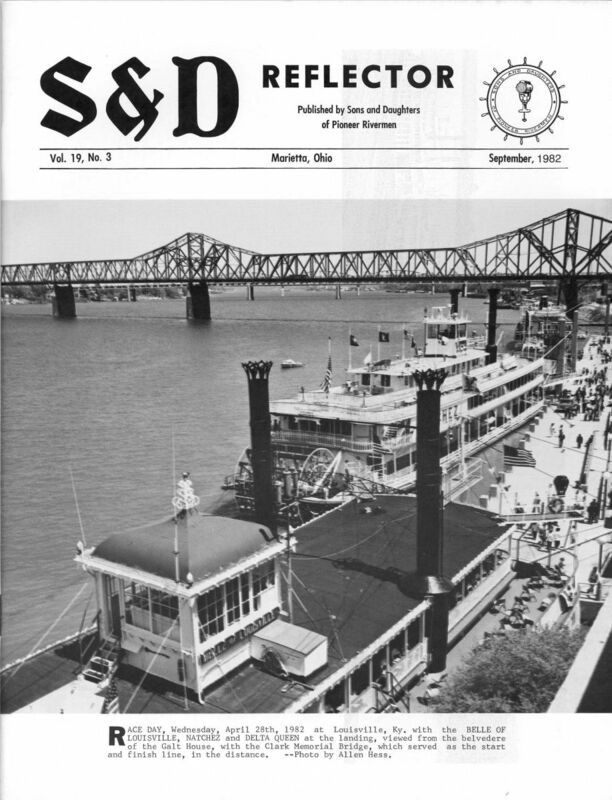 The name of the publication, S&D Reflector comes from the newspaper Fleetwood Reflector published in 1869 aboard the Cincinnati-Pomeroy-Parkersburg packet FLEETWOOD. Newspapers were printed for the diversion of passengers on a number of the larger 19th century packets. The editor of the Reflector is David Tschiggfrie, who has authored booklets, articles, and DVDs about steamboating over the past forty years. He presently serves on the Board of the National Rivers Hall of Fame in Dubuque, IA. 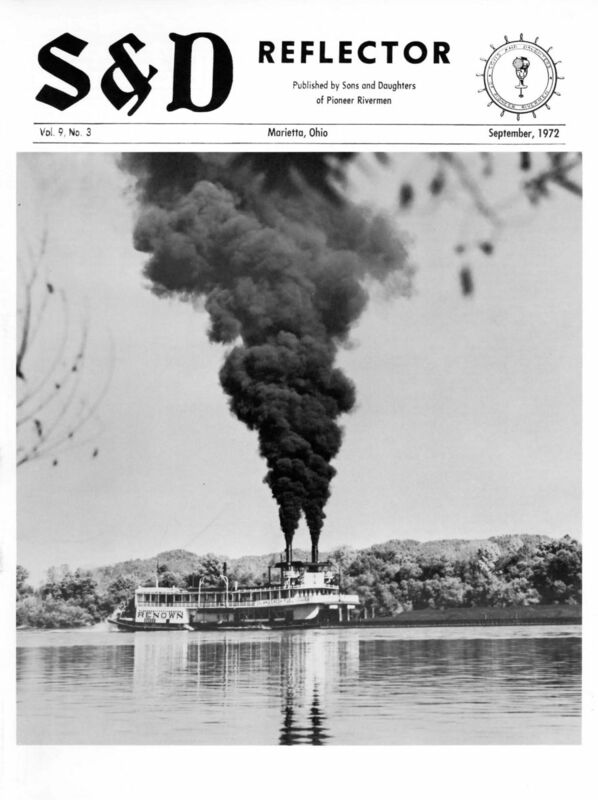 David encourages and welcomes correspondence with writers of papers on river-related history and other items of interest to the subscribers. During a Spring 2018 board meeting, a motion was made and approved to scan and make available back issues of the Reflector dated prior to 2000 available on our website. The process has begun and it is indeed a tedious, time consuming task. These issues will be available in PDF format in two versions, one for optimal viewing and one with all pages oriented as printed if a reprint is desired. All scanned issues are below...be sure to check back for updates!